Reserve your airport transfer to your accommodations with us and start your vacation out right. Our airport transfer service is unique and 100% headache free. We will be waiting for you at the airport when you exit customs. We are easy to find in the crowd. Our bi-lingual representative will have your name on a sign and a complimentary cold bottle of water waiting for you. If you wish to have a cold beer instead, let us know, that can be easily arranged for a small charge. If you require a car seat for your child, we have that available as well, just let us know your needs and we will fill them for you, including a stop at a grocery store or to an ATM machine for a small additional charge. Do you arrive on a private flight? No problem, we can pick you up at the private area too! Why reserve with us? Easy: You will not pay extra for our Superior customer service and we guarantee that we are not affiliated with any timeshare company or timeshare presentation. 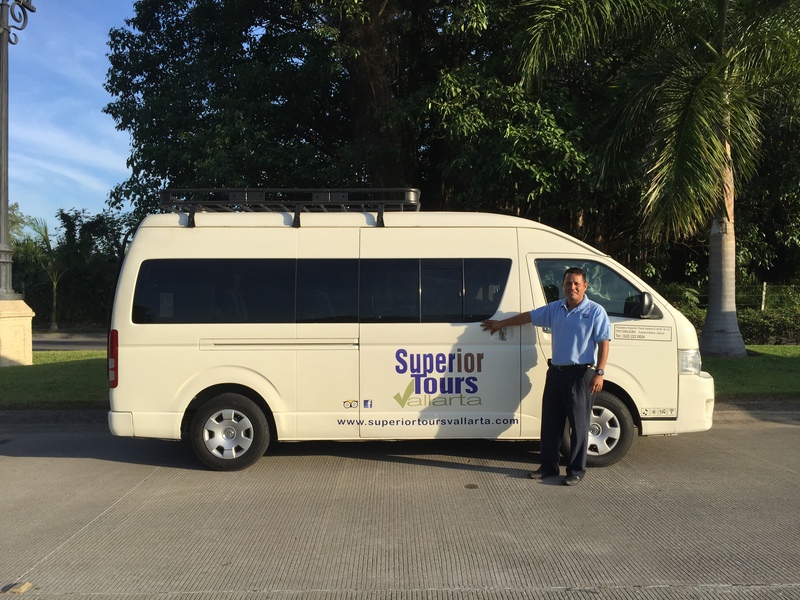 Even if you don´t want to think about any accident that can happen, it´s good to know that Superior Tours Vallarta offers the highest passenger insurance policy in the bay area. All of our Vans, Sprinters and Suburbans are monitored by a GPS system 24/7 for your safety, and we have a 100% score at on time-performance. 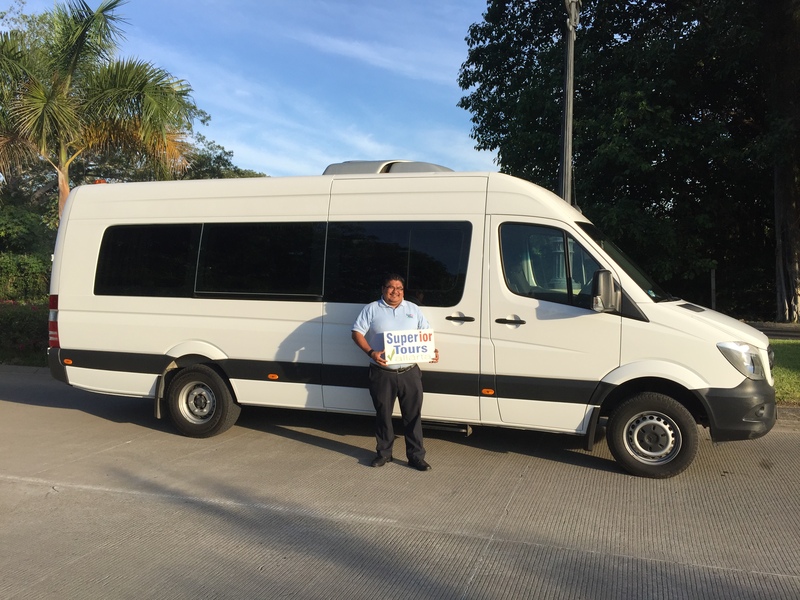 Currently, we are the only transportation company in Vallarta offering this service, and we are very proud of sharing this with you! Are we the most economical in town? Certainly not! 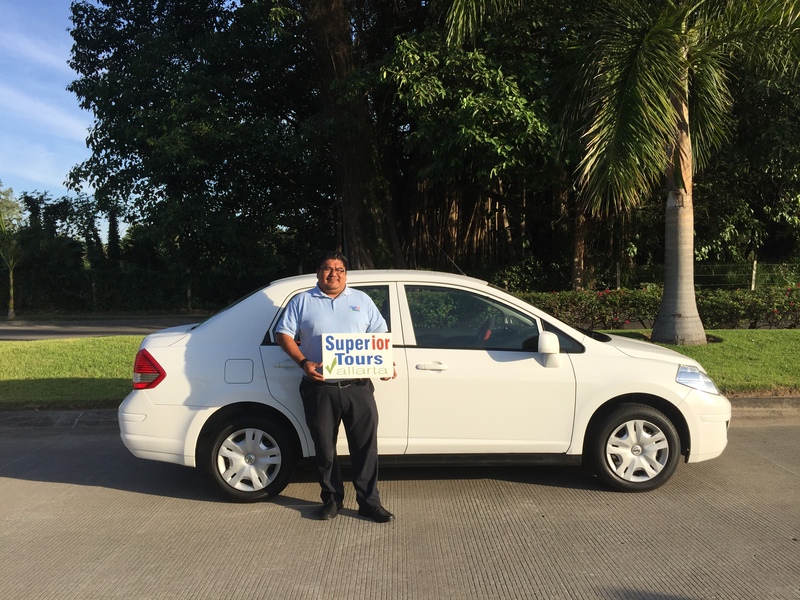 However, our suburb service by our professional drivers, our quality vehicles, and once again our insurance that has you completely covered, makes us without a doubt your best choice in the bay area. Yes, you might find a deal for a few bucks less, but is safety and on-time performance not more important than saving maybe the cost of two beers knowing that you are fully covered? Airport Transfer Rates as per January 1st, 2018. If your hotel, condo or villa is not listed here, or you are not sure in which zone this is, email us and we we’ll gladly provide you the rate. Rates are per vehicle and subject to change. All clients are received with a welcome sign and a courtesy bottle of water. Clients who reserve the luxury suburban will be recieved with cold beer as well. Rates are per one way, cost of round trip is twice the one way. Please be aware that we have a limited number of vehicles and reservations in advance are required: if a category of vehicle is not available anymore we might be able to offer you a bigger vehicle only, but in that case there will be a higher rate. The rate as confirmed at the confirmation will be respected at all times, in case we decide to send you a bigger vehicle. Obviously this is only if you don´t change the amount of people and the destination. 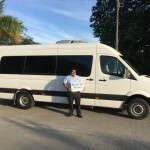 We also offer transfers to Bucerias, La Cruz, San Pancho, Manzanillo, Careyes, Mayto, Guadalajara and more! Just let us know your final destination by email and we will provide you the rate. We count on one (standard size) suitcase per person: if luggage does not fit in our vehicles and we have to send a bigger vehicle, there will be an extra charge. For all services after 11pm and all before 7am there is a surcharge of 10USD per vehicle which need to be paid in cash on the day of the service. ** not all locations can be reached by the large Sprinter due to the size of the vehicle, please inform first if your location can be reached. We might have to send 2 Vans instead for this reason. 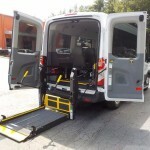 Wheel Chair accessible Van with automatic elevator. Fits one person in a wheel chair plus 5 people in regular seats. Looking for anything else? let us know and we will provide you the rate. Many of the large rental companies in the area use our service to transfer their clients to their properties as they know their clients are in good hands with us. Not to mention several concierge services and travel agents all over the world only recommend us! If you are staying in a private property, villa or condo, we will also call and let the house manager know that we are departing the airport so they will be there to meet you and get you settled in upon arrival. Our drivers have federal drivers licenses and must take every two years a medical and driving exam. 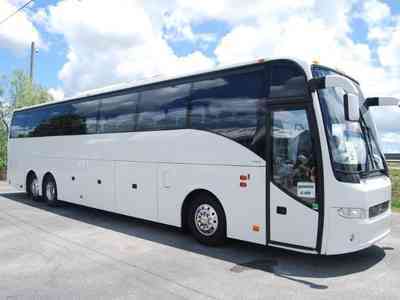 Besides airport transportation we can also organize transportation for groups, incentives, weddings, etc. We have baby seats & boosters available upon request, free of charge. Would you like to go out with your friends and not worry about transportation? Contact us and we will be glad to give you a quote for a private driver for the day or night. Besides being good drivers, they know the best places in town in case you are interested! We have licenses to pick you up at your hotel or condominium, the airport and the cruise terminal. 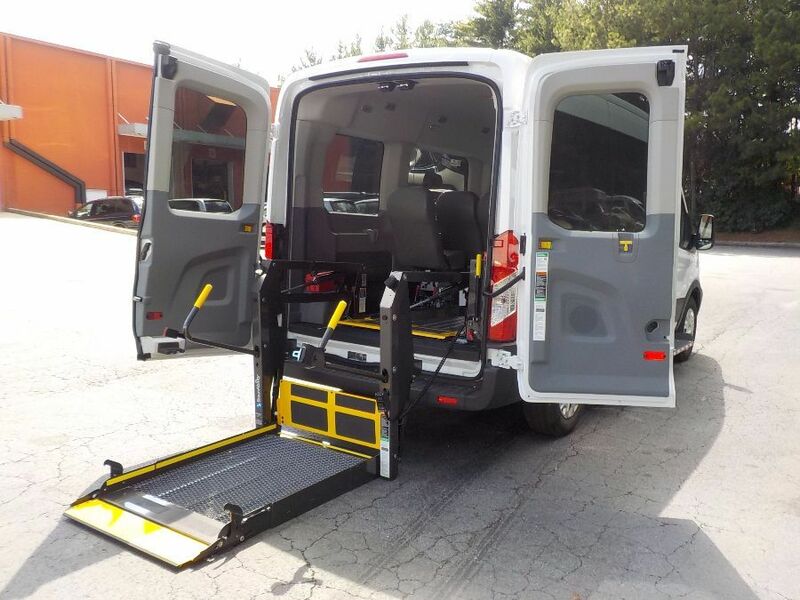 See our private Driver site for all possibilities. 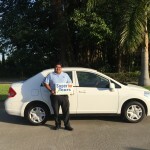 **All our vehicles have air conditioning and are fully insured. 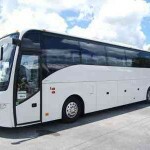 All taxes, fees for the permits and an extra passenger insurance are included. Please fill out your flight details below (flight number and departure time) for your return transportation. We will recommend you a pick up time for your return transportation, in order to make sure your pick up will be at the right time.